Rush has been a lot of things over the years, from their early days as a youthful heavy metal act to their rise into giants of progressive rock. They embraced the ‘80s with more success than any classic rock-era band this side of Genesis (and unlike Genesis, they didn't have to sell out to do it). They've lasted through the ‘90s, the ‘00s, and are still going strong into the ‘10s, all while regularly releasing new records and touring around the world. Their longevity and staying power has led to them becoming known far beyond the scope of prog-rock fan-circles, and they've become icons of their Canadian homeland (a home which I happen to share). Rush was the first band I was ever a huge fan of. Thanks to my dad (an even bigger fan than myself), I've been listening to them practically since I was born and I know their discography better than almost any other band. Not every album can get a high ranking, but be assured that each album, both the good and the... er, less good... means a lot to me. I'm focusing specifically on the band's studio output here. Their reputation as a live band is immense, and their live albums bear that out. But those live albums are too lengthy and cover too much musical ground to make ranking them very easy. Rush spent most of the ’80s relying heavily on synthesizers. But that approach had apparently worn thin with the band since the album they closed out the decade with completely ditches that style. Unfortunately, they hadn't quite figured out what to do to make up for the change in musical direction yet. Without as much synth presence, Presto sounds empty and hollow (and the synths that are present sound pretty dorky). They could have filled the space with a beefier guitar sound, but for some reason they didn't; it sounds oddly thin and wimpy instead. The paper-thin production even dulls some songs that could have been highlights. “The Pass,” for example, comes off great in a live setting but is pretty easy to ignore in the context of the album. “Show Don’t Tell” and “Superconductor” are okay songs, too, but they don't do anything Rush hadn't done better before and wouldn't do better in the future. Presto is lame and boring practically from start to finish. It's the kind of album that you only need to hear if you've already got everything else. “Dreamline” and “Bravado” are easy contenders for a list of the band's greatest songs from the ’90s. But that's pretty much where the positives end for Roll The Bones. The title track’s infamous experiment with rap is cringe-worthy (albeit attention-grabbing), and the album takes a sharp nosedive after that with one uninspired piece of wimpy pop-rock after another. 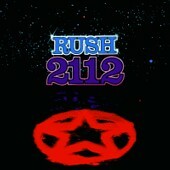 The second side is possibly the most bland and forgettable stretch of songs Rush ever laid down. The production tries its hardest to make sure that nothing interesting stands out, and the band’s signature instrumental interplay is completely absent as these tunes lifelessly plod along. Rush never released an album that was outright terrible, but Roll The Bones comes the closest. It’s only the quality of the two big highlights at the start that give this album the edge against Presto. The cheese factor is cranked to the max on the most ’80s album in Rush's discography. Synths are everywhere and the tones used are goofy and obnoxious. The songs in general tend to be slower on average than the material on the albums prior to this one, and the tight interplay that made Power Windows such a highlight is reduced. The guitars have been thinned out to such an extreme that it's easy to forget that it's even playing at times. 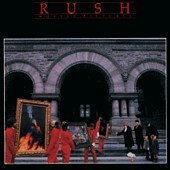 This release is infamous among Rush fans for including some of the biggest duds of the band's career. “Tai Shan” is downright embarrassing New Age dreck, and “High Water” and “Second Nature” aren’t much better. Most of the rest falls into the “just okay” category featuring one or two good elements surrounded by a bunch of blah. The songs that are great, however, stand out a lot. 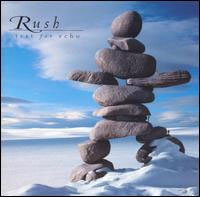 “Force Ten” and “Time Stand Still” have the same energetic spark that carries their best material and stand among Rush's best work in any era. The disc is almost worth it for those two tunes alone. One of the strangest albums in their catalogue, Vapor Trails was the result of an extensive writing and recording period that stretched over 14 months. Unsurprisingly, it ended up being an overcooked, overwrought mess with far too many ideas piled on top of one another. The production is atrocious – every sound in the mix sounds like it's fighting for space with every other sound. The dismal audio quality of the album was so notorious that a remixed version was eventually released in 2013. This significantly improved the sonic character of the record and made me take notice of many new details. But that still didn't change the fact that this album is 70 minutes of extremely samey-sounding songs that never let up or provide much in the way of variation. It's just too much to take in at once. It does make a pretty distinctive first impression, though, and the songs tend to come across pretty well during live performances. 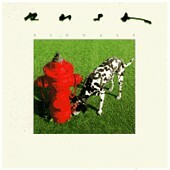 To celebrate their 30th anniversary, Rush took a break from a career exclusively focused on original material for this short EP of cover songs. Their takes on these eight classic rock tunes is often entertaining, but none of these covers will make you forget about the originals. Perhaps if their song choices were more adventurous this could have been a more interesting release. 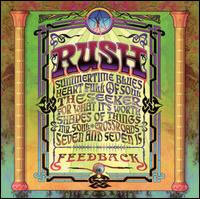 But all of these tunes were great and popular to begin with, so Rush doesn't have much to add. They're played as well as you would expect Rush to play them, so it's nearly impossible to consider this record to be bad. But none of it adds anything to the band's legacy, leaving this as little more than a well-assembled curio and easily the band's least essential studio release. Rush's debut is not much more than an average ’70s hard rock album. For the most part, at this early stage Rush is content to do their best Led Zeppelin impression without putting too much of their own spin on things. The seeds of their future progressive ambitions are sewn on the extended solo section of the classic rock radio staple “Working Man,” but that's as far as they dare to venture at this point. The songs might not be up to the level of their inspirations or of the more adventurous musical territory they would soon be exploring, but they do the style justice and the album is fairly fun as a result. A somewhat controversial album for Rush fans, A Farewell To Kings has a higher number of love-it-or-hate-it songs than any other, with little in-between. 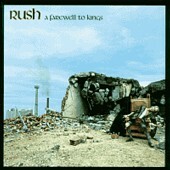 On the plus side, “Xanadu” is everything great about Rush as a progressive rock band packed into 11 minutes. 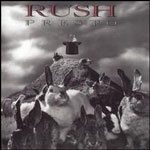 With a stunning pastoral instrumental buildup leading into a driving progressive rock tune, it fully delivers on its stellar lead in, and is among Rush's greatest work ever. But on the flip side, “Cygnus X-1” is everything that could go wrong with Rush as a progressive rock band. It's a ridiculous sci-fi tale that's nearly impossible to take seriously, strung together with a bunch of stop-start jamming. Nothing about the tune sticks, and it would be the last song to change the mind of anyone who doesn't like the band. The shorter songs are also more miss than hit. The title track is pretty solid, conjuring up images of royalty and medieval castles, but “Cinderella Man” and “Madrigal” are so lame that they somehow come across as filler even though the album only has six songs. 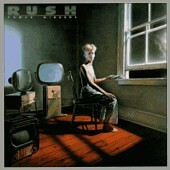 Finally, “Closer To The Heart” is one of Rush’s most popular tunes ever, likely because it’s so easy to sing along to. But there isn’t much substance to the song since it barely even gets started before it’s already over, so I can’t say I’m that much of a fan of it. 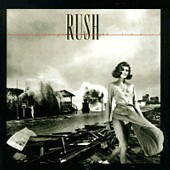 Rush finally kicked their guitars back into full gear with Counterparts, which largely established the trajectory their later career would follow. It was initially hailed as a return to form, and coming after their three worst records, the alt-rock flavor of Counterparts packs a big punch. But the band would do a lot more with this approach on the albums that followed it and it doesn’t hold up quite as well in retrospect. Still, there’s some great material here, “Animate” and “Stick It Out” in particular. Rush was in a major state of transition during this period and it’s very obvious. They expanded their progressive tendencies to write two lengthy pieces, but in doing so showed just how far they still had to go. “The Fountain Of Lamneth” doesn't hold together as a side-length even in the slightest (there are even full pauses between the different sections), though the parts that it's made up of are actually really good. On the other hand, while “The Necromancer” feels a bit more like a cohesive work, it's filled with ridiculous spoken narration and underwritten instrumental and vocal sections. The shorter songs are hit-or-miss too. Hard rock classic “Bastille Day” is found on this album, but it's followed immediately by “I Think I'm Going Bald,” which has got to be the dumbest song Rush ever did. The heavier approach that the band began to use on Counterparts was improved upon with Test For Echo. Killer rock tracks like “Driven” and the title track lead the way and there are no outright duds to speak of. 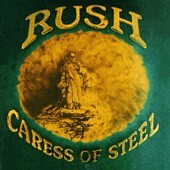 Some of Rush's most straightforward songs make appearances on this record, but they work surprisingly well. “Resist” and “Half The World” wouldn't have been out of place on a record like Presto, are but they’re performed with so much more verve than before and have a bit more melodic flair. 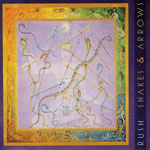 The intense, stuffed approach of Vapor Trails was refined significantly by this point resulting in an album with a similarly in-your-face sound, but with the band's creative arrangement skills added back into the mix. “Far Cry” takes those crunchy guitars and injects more of a prog-rock flavor into them than Rush had used in a very long time. Some tracks are duller than others, but the album has some sneaky highlights in the back half that reward more devoted listens. Plus, in a unique move for the band there are three instrumental tracks on the album, and each is really great. The first album to feature the band in full flight with drummer and lyricist Neil Peart makes its mark right away with a number of Rush’s best early tunes. 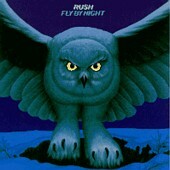 “Anthem” and “Fly By Night” are two of the biggest heavy hitters in their early repertoire. The album is somewhat patchy on the whole. Once you've heard what the band is really capable of, songs like “Rivendell” and “Making Memories” don't really cut it anymore. But most of the album is good stuff. This record was promoted as a concept album upon its release, but I’ll be honest, as far as concepts go it’s mostly in one ear and out the other with this one. Almost none of the lyrical content made an impression on me. 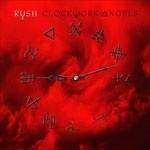 But ignoring that, these are some of the most kickass tunes Rush has ever laid down. The band’s progressive rock tendencies have always been there even when they weren’t actively making progressive rock music, but a good chunk of these tunes show just how great the band can be when they really stretch their prog-rock chops and go for it. “Headlong Flight” and the title track are both incredible mini-epics that harken way back to their younger days, but crossed with the huge modern guitar crunch that they’ve now perfected. The orchestrated ballad “The Garden” is unlike anything Rush had ever done before, and is the sort of song that I never would have thought they’d have been capable of pulling off so well. The album kind of drags in the middle, which prevents me from ranking it even higher, but it’s pretty incredible that Rush can still pull off a release as good as this one forty years into their career. Rush evolve and change their sound constantly from album to album, but there was perhaps no greater leap in their sound than the one between Moving Pictures and Signals. It’s not just that their use of synths is pushed into the forefront, but also that the songs have become more focused. Rush began to prefer developing a handful of specific ideas in each song rather than cramming in drastic shifts in style and using aggressively showoff-y arrangements. As a result, this could easily be the first Rush album since their debut that could be argued by some as not being progressive rock at all (though I don’t know what else you would categorize it as). I don’t mind this change; after all, it’s hard to get upset about an approach that leads to a song as great as “Subdivisions.” But the complete dominance of what could be deemed “normal” songs does draw a significant line in the sand that some fans never crossed. They would get even better at this approach on the two albums that followed it, but this is still a great effort all the same. Everything I said about Signals applies here, too, and choosing which one I preferred was rather tricky since they’re both very consistent albums. The synthesizers are integrated into their sound more seamlessly here than on Signals, however, and as a result the tracks are more tightly packed with textural ideas in addition to their usual musical ideas. But ultimately it just came down to which had more songs I liked better, so this record gets the edge. Many ’70s bands didn't make the transition into the ’80s that well, but Rush was a huge exception. Taking inspiration from New Wave bands like The Police and The Talking Heads, Rush powered into the decade with their best string of records to date, leading the way with an album that has become one of the towering pillars among the Rush discography. The band backed away from extended flights-of-fancy and instead tightened their songwriting to a razor-sharp point. 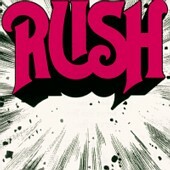 “The Spirit Of Radio” is the quintessential Rush song. It’s accessible and radio-ready but doesn’t sacrifice any of their integrity as a progressive rock band. Likewise, the time-signature jumble that is “Freewill” is the last thing that should work well on the radio, but Rush pulled it off. The other songs aren’t as immediately striking, but quickly reveal themselves as stellar album tracks. “Natural Science” is my favorite of these, but all of them are gems in their own way. 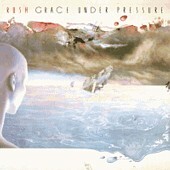 Rush pushed themselves to their progressive rock limits on Hemispheres, creating their best work in the genre. The title track would be their final attempt at a side-length piece, and it’s by far their most sophisticated. Unlike their other side-lengths, it’s not merely a medley of different song ideas, but a cohesive extended piece that develops themes across its runtime while building up dramatic tension as it goes. In a discography full of terrific instrumentals, “La Villa Strangiato” remains my number one, not only due to its extended length and high level of musical complexity, but also in how it manages to be cohesive and melodic from start to finish (heck, even some of the drum parts are catchy). There are but two other songs here, and while they don’t stand on equal ground with the epics, they're still good stuff. “Circumstances” is the slightly lesser of the two, being yet another riff-driven rock single. Rush has done a lot of songs like that and this is as good as any of them. Even better, however, is “The Trees,” one of the most iconic Rush songs among fans. Yes, the lyrics do come across like a tenth grader with an English assignment to write a poem using metaphors, but the song itself easily overcomes the lyrical silliness by deftly moving through a number of tremendous instrumental sections, all of which tie together in awesome ways. 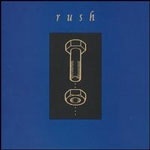 The punchy oomph of this record has never been equaled by any other in the Rush discography. It's relentlessly upbeat with an ever-changing kaleidoscope of colors zipping through the speakers. There is just so much cool stuff coming from all directions. The synthesizers don't just play a few parts before receding into the background; they are fully integrated into the interplay of the band – and without sacrificing the integrity of the guitars at that. It's kinetic and frenetic yet simultaneously tight as hell, with every piece locked into place and each musician at the top of their game. There are more tremendous basslines on this album than some bands have in their whole careers. The synthesizers are cranked up loud and there are there are a lot of electronic drums present, but instead of that being a hindrance, it just makes the album sound all the more kickass. It’s nearly impossible to pick a favorite song since each has so many elements bouncing around that grab my attention. The uplifting “Marathon” and the thunderous “Big Money” come to mind right now, but if you asked me again tomorrow, I’ll probably have a different answer. This might be an obvious pick for the top, but it's obvious for a reason. The entire first side of the record is so flawless it might as well be a greatest hits compilation. Every track here has taken its rightful place as one of the band's calling cards. 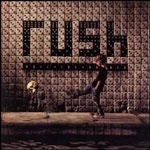 For most casual rock fans, “Tom Sawyer” is the Rush song to end all Rush songs, and who am I to disagree? There are so many nifty little elements mixed in that's it’s hard to get bored of it even after hearing it hundreds of times (and let’s be honest, most of us probably have). The lyrics are as quotable as it gets, and the fill-tastic drum solo single-handedly inspired a generation of air drummers. “Limelight” has the best guitar riff on an album loaded with them and some of the best melodies they ever came up with. 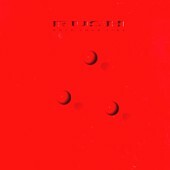 “Red Barchetta” is Rush’s take on a driving song, with the band painting a musical picture of the titular car speeding down the highway. 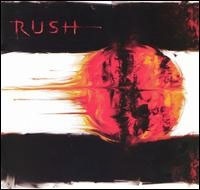 “Witch Hunt” is an eerie lumbering track, absolutely nailing a spooky atmosphere that's not often found in Rush's music. “Vital Signs” foreshadows the synth-driven era that would soon overtake the band, and it’s just as good as the best songs on those records. “The Camera Eye” is more laidback than Rush’s lengthier songs usually are but it’s far subtler, too. It says a lot about how far they had come as a band by this point that the longest song on the record is also the least flashy. And finally, “YYZ” is one of the most iconic rock instrumentals ever made. 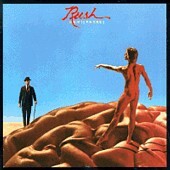 If Hemispheres saw the band at their progressive best, and Power Windows saw them at the peak of their synth-era, then Moving Pictures represents a transition between the two best eras of the band and by extension the best of everything Rush has to offer.